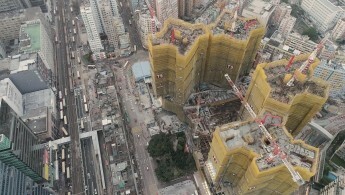 香港電台網站 : 電視|The Pulse|Forum on land supply: Housing - A Crisis in Land Supply? Since the Handover, the United Kingdom’s Foreign Secretary has reported to parliament every six months on the implementation of the Sino-British Joint Declaration. The latest report, released last month, covers the second half of last year. 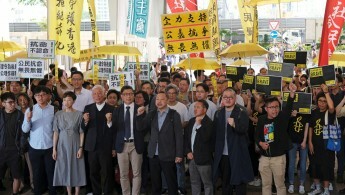 Among matters mentioned are the banning of the Hong Kong National Party, the political screening of election candidates, and the expulsion of the Asia News Editor of the Financial Times. It suggests that Hong Kong’s high degree of autonomy is “being reduced”, and that there’s a “move towards a mainland Chinese interpretation” of civil and political freedoms. The UK Parliament’s Human Rights Committee also published a report last month. It says the government’s six-monthly reports “appear insufficient” to protect the basic freedoms of people in Hong Kong, and that such freedoms are eroding. 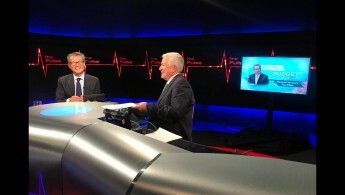 With me is the British Consul General to Hong Kong and Macao, Andrew Heyn to talk about it. And that’s it for this week but we’ll leave you with images of the massive fire that broke out on Tuesday at the iconic Notre Dame Cathedral in Paris which has towered over France’s capital since the Middle Ages. President Macron promises it will be rebuilt within five years but for now the people of France are still shocked by what appears to have been a tragic accident. There’s been a flurry of activity between the European Union and China recently with a major summit seeking to reset relations and some marked divisions emerging in Europe as to how China’s emerging strength should be addressed. Meanwhile the EU has also been looking at events in Hong Kong and expressing misgivings over a direction of travel which includes the introduction of an extradition law that potentially threatens the security of overseas companies and their personnel doing business in the HKSAR. And then there’s the elephant in the room - Brexit casting its ever confusing shadow over the future of the EU. With us in the studio is the Head of the European Union Office to Hong Kong and Macau, Carmen Cano. At 1.45 am on the 27th of September 2014, Benny Tai announced that Occupy Central had begun, building on a two-day protest during which students had occupied the streets outside the government headquarters in Tamar. The sit-in ended up lasting 79 days and spread to other areas. It was an act of civil disobedience, involving hundreds of thousands of people demanding political reforms and the universal suffrage Hong Kong had been promised in the Joint Declaration and the Basic Law. Scholars, students, legislators and other members of the public have since been arrested and prosecuted for their involvement in the movement. Nearly five years later, on Tuesday this week, nine leaders of the movement were found guilty of a number of public nuisance charges. Hong Kong’s last governor Chris Patten says he found it “appallingly divisive to use anachronistic common law charges in a vengeful pursuit of political events”. The central government has supported the court’s ruling and the move “to punish, according to law, the main plotters of the illegal Occupy”. Last Sunday, thousands of people took to the streets to protest against government proposals to amend Hong Kong’s extradition laws. Despite that, on Wednesday, the government pushed ahead with initiating the legislative process with measures that amend the two laws allowing fugitives to be transferred to jurisdictions where Hong Kong lacks extradition or rendition arrangements, this principally means the mainland, Macau and Taiwan. The government’s proposals have stirred huge criticism from human rights activists, as well as the legal and business sectors, both locally and internationally. Unsurprisingly the criticism that got the lion’s share of the government’s attention came from the business sector As a result last Tuesday, Chief Executive Carrie Lam agreed to exclude nine economic crimes from the 46 categories of offences covered. With me is former Chief Secretary Anson Chan who has just returned from a trip to the United States at the invitation of the White House. Last month, cyclone Idai swept through Mozambique, Zimbabwe and Malawi. It was the deadliest storm to hit these countries in three decades, killing more than 800 people, and severely affecting millions more. In its wake, over a thousand people were infected with cholera. The United Nations describes it as “one of the worst weather-related catastrophes in the history of Africa”. As ever it’s the world’s poorest people who bear the brunt of the impact from man-made climate change. There is a very widespread feeling that world leaders just aren’t taking the issue seriously enough. Now a younger generation of activists, inspired by the Swedish teen, Greta Thunberg, are speaking out about climate change and their future. China and Russia may have diverged over how to apply the tenets of Marxism almost 60 years ago, but in recent decades it’s capitalism, even if it is capitalism with Chinese (or Russian) characteristics, that’s dominated the links between the countries, and allowed them to boost trade and living standards in the Russian Far East and Northeast China, and co-operate on major infrastructural projects. With us in the studio is Marie Mendras, visiting scholar of the Faculty of Social Sciences of the Department of Government and International Studies of Hong Kong Baptist University. 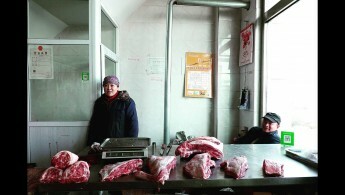 Our final report on Xinjiang’s “vocational training camps”. As we’ve been reporting over the past two weeks, in the name of combatting counter-terrorism and religious separatism, China is detaining Uyghurs and ethnic Kazakhs in what it calls, “vocational training camps” in Xinjiang. Among those included in those mass detentions are some of China’s most accomplished Uyghur intellectuals including scholars, academics, writers, poets, and musicians. Scholars such as anthropologist Rahile Dawut and poet Ablet Abdurishit Berqi have been detained. Economist Ilham Tohti, declared guilty of separatist activities in 2014, has been imprisoned for life. Human rights advocates say this is part of a deliberate attempt to weaken and even destroy the cultural identity of Uyghurs and other ethnic minorities. On Monday, China’s State Council issued a white paper titled, “The Fight Against Terrorism and Extremism and Human Rights Protection in Xinjiang” containing a detailed list claiming that since 2014, China has “arrested 12,995 terrorists, destroyed 1,588 violent and terrorist gangs, seized 2,052 explosive devices, punished 30,645 people for 4,858 illegal religious activities and confiscated 345,229 copies of illegal religious materials.” It reiterated the need for its “boarding schools” … I’m sorry: “education and training centres” to rehabilitate and eradicate terrorism and extremism in Xinjiang. 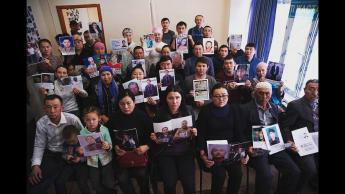 As our producer Yvonne Tong reported last week, detainees in the re-education camps in Xinjiang are not only Uyghurs but also ethnic Kazakhs. She went to Almaty in Kazakhstan, to find out more. Kazakhstan shares a 660-mile border with China. On Tuesday, in a surprise television address, Kazakhstan’s president, Nursultan Nazarbayev announced his resignation. He’s been the country’s leader since its independence from the Soviet Union almost 30 years ago. On Wednesday the Kazak parliament agreed to change the name of its capital Astana to Nursultan in his honour. But the change in leadership is likely to do little to improve the human rights situation for those who’ve been affected by China’s increasing pressures on Muslims. Friday saw the close of China’s annual “Two Sessions”, the back-to-back meetings of the National People’s Congress and the Chinese People’s Political Consultative Conference. Some 3,000 delegates had travelled to Beijing for the meetings, which opened on March 3rd against the backdrop of a trade war with the United States, a slowing economy, and increasing international suspicions concerning Chinese technology companies, especially Huawei. But, although this was barely discussed at these meetings, concern ins increasing in the international community over China’s crackdown on religious expression on its Muslim minorities. At the beginning of March, the Organisation of Islamic Cooperation, meeting in Abu Dhabi, adopted a resolution on “safeguarding the rights of Muslim communities and minorities and commended China for its treatment of Muslims. The resolution attracted immediate criticism and accusations of kowtowing to economic pressures. Despite initial denials from China, the United Nations says a million Uyghurs have been detained in “political re-education camps” and Human Rights Watch reports that surveillance and repression in Xinjiang has increased dramatically over the past two years. Two weeks ago, producer Yvonne Tong visited China and Kazakhstan to talk to members of Islamic communities there. Hello and welcome to The Pulse. Last Wednesday, Financial Secretary Paul Chan delivered his third Budget. The usual so-called handouts were scaled back and there were forecasts of slower economic growth and a significant shrink in the budget surplus over the next five years. So, what does this all mean? Well, as we promised last week, the Financial Secretary Paul Chan is here to explain. On Wednesday, Financial Secretary Paul Chan unveiled the government’s 2019 Budget, and it’s fair to say many are less than impressed. According to a University of Hong Kong survey the level of satisfaction with this Budget is the lowest since similar surveys began in 2008. Both pro-government and pan democratic legislators have expressed their disapproval. 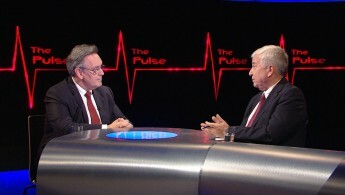 The Financial Secretary will be on The Pulse’s Budget special next week to explain more. Last September, the Security Bureau outlawed the political group, the National Party. In January, the group’s co-founder, Andy Chan presented his case to the Executive Council. The result of the appeal has yet to be handed down. Yet this Tuesday the Chief Executive Carrie Lam said the central government has already sent her a letter asking her to submit a report on the incident. With us to talk about that are Executive Councillor Ronny Tong and Nathan Law, Standing Committee Member of Demosistō. Kwun Tong was once an industrial and manufacturing centre. Today it’s undergoing a transformation. The government has made the area part of its Smart City pilot scheme and wants it to be a new Central Business District. New commercial and office spaces have sprung up, along with hotels and luxury properties. According to news reports, even the Liaison Office has got in on the act, sweeping up 20 apartment units worth HK$247.53 million in an Urban Renewal Authority and Sino Land residential development and saving as much as HK$74.3 million on stamp duties. The office’s real estate portfolio now includes more than 280 residential properties. But what’s happening to the old neighbourhood and its tenants? Chief Executive Carrie Lam has, several times, lamented that many Hong Kong people still do not understand the “new constitutional order” or do not accept the way it operates under One Country, Two Systems. Last month, China’s Chief Justice Zhou Qiang warned the country’s judges not to fall into the “trap” of Western ideologies such as constitutional democracy and separation of powers, and encouraged them to denounce the idea of an independent judiciary. A recent report by the World Justice Project ranks the fairness of the PRC’s judicial system 75th out of 113 countries. Hong Kong was in 16th place. But suggested amendments to Hong Kong’s extradition laws may have the effect of sending the SAR down in the rankings. 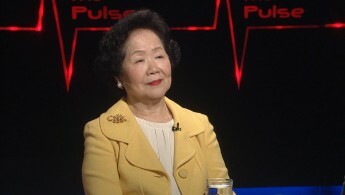 With us to discussion that issue is Philip Dykes, Chairman of the Hong Kong Bar Association. The Law Reform Commission says, in its recent consultation paper on archives law, that well-managed archives and records are central to good governance. Anyone who has tried to get access to many of those records, particularly on politically contentious subjects, will have found that the Hong Kong government appears to take another view. Researchers, scholars, activists, journalists, not forgetting ordinary members of the public will know how difficult it can be to access information from Hong Kong government records. Government records and archives management is the responsibility of the Government Records Service. However, there is no archive law and no penalties for malpractice in disposing of government documents. Between 2013 to 2016, a total of more than 360 million records were approved for destruction. A consultation on a potential archives law is underway, ending on March 5th, but not everyone’s convinced the government wants a law with teeth. Hello and welcome to The Pulse. 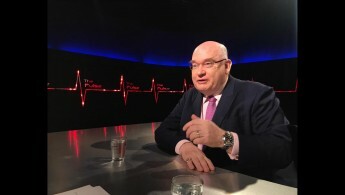 As Tim Wong, a doctor who works in the Accident and Emergency services, told us last week, staff in the public hospital sector have been working at breaking point for a long time. He argued that the public healthcare system is facing a systematic crisis. Front-line medical staff often point to the speed at which Hong Kong’s population is growing without a corresponding increase in public health manpower. They want to see a review of population policy, particularly the one-way permit scheme that allows 150 people from the mainland to settle in Hong Kong every day. With us are Sze Lai-shan, Community Organiser for the Society for Community Organization and former Secretary for the Civil Service Joseph Wong. 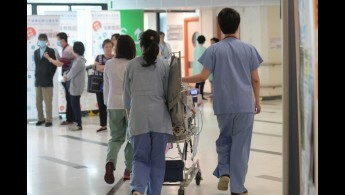 The current ratio of doctors to patients in Hong Kong’s public health service is 1.9 to 1,000. The ratio of nurses to patients is 7.1 to 1,000. The average length of time a doctor can spend with each patient is down to just a few minutes. Public hospitals are overcrowded, and medical staff are overworked. Last year and this year, the government allocated additional “one-off” HK$500 million funds to tackle the winter flu surge. But front-line staff say it’s not necessarily helping on the ground, and the problems they face extend well beyond the flu season.